LabTech Plugin -> Office 365 UM keeps improving with new features. LabTech – Map Drives plugin shows you mappings by client. Squidwork’s garage is launching another neat plugin that fetches the browsing history from 4 major browsers available on Windows systems. SurfLog collects the browser history for Chrome, Internet Explorer, Firefox and Safari browsers and stores that data inside the LabTech database. 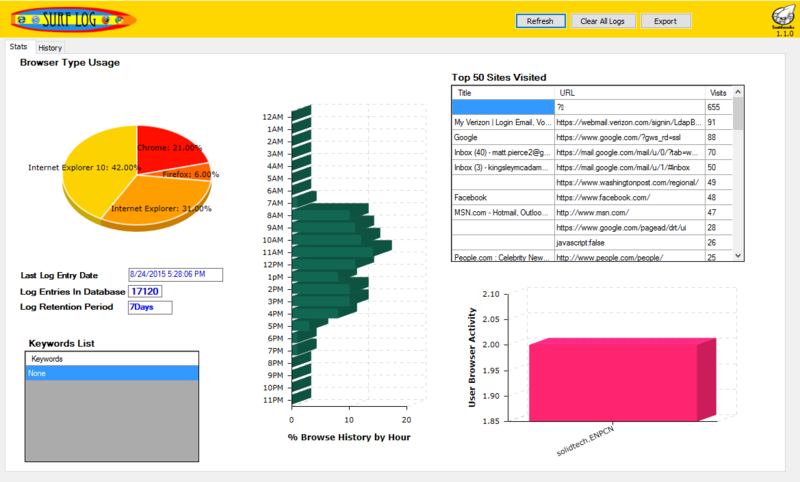 The plugin in version 1.0 reads the last 30 days of logs and displays them on the computer console, allows you to launch a new scan and refresh your current view. 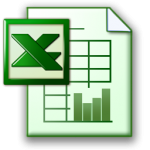 You can also use the Clear All Logs button to remove all current logs for the computer your viewing or export the data into Excel. 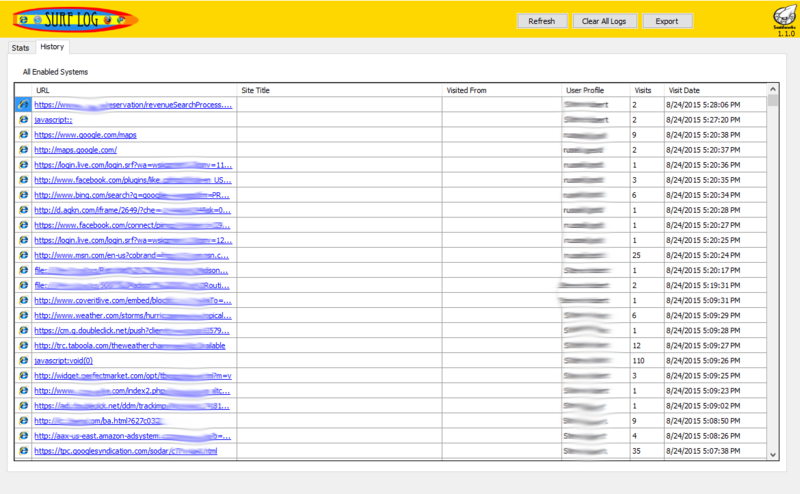 Each column is sort able so you are able to see by Browser Type, URL, Site Title, User Profile or the number of visits to a URL. The plugin comes with one script that collects the data and should be scheduled on widows client groups for once a day. The Surflog script only grabs the last 24 hours of logs to keep from get to much data that it then cannot import correctly in to the LT database using LT scripting. For this reason you should schedule script to run every 24 hours or less. It will not duplicate any entries into the database so you can run it every hour if you like and only new items will be added to the database. The Surflog script also manages the retention policy and will clear out logs based on the set policy. You can set the policy on the Info Tab of the Client console under the sub tab [SurfLog]. You can enable Surflog Collection on a per client bases by enabling each client that you would like the collection process to run on. You should schedule the script to run on all windows systems for all systems in labtech then use the enable feature to allow scanner to run or not for each client. The script will validate whether or not to run based on this setting. You can set the retention policy for each client between 1 and 90 days, as the collection script runs it will look at the policy for the client and will clear out history based on the retention policy set. A “Client” must be enabled for any scans on systems under that client to run even if directly scheduled on that system! If you place a comma “,” separated list of words in this field the view of each log under this client will highlight those rows where the words show up in the URL, Title and Visit From columns. We added the ability to surf the links from the history and you can now export the browser history to Excel. New in version 1.1.0 Cloud hosted LT servers are now fully supported. Just edit the collector script to enable or disable cloud support. See [Grab Surf Logs] script notes for more information. Feel free to donate to our cause if you find this software useful, Help keep our software free. Added new Client Tab with Client level view of all browser histories. Added threading to Excel exports. Fixed display of Keyword box. Added UK Time Support to Powershell collector scripts. Rewrote Export function, now really fast and works! Added auto plugin updater so you will not need to update plugin manually again. We give a shout out to www.nirsoft.net for their BrowserHistoryView application that provides the CSV creator. Thanks for a great tool. Unfortunately, Jordan, I was never able to figure out what was causing the issue so just ended up removing it. I am also having the issue where the surf log tab is not showing under the info tab within the client. Whenever the script runs it fails “not enabled”. How do i get the tab to show under info so i can enable it?? I keep getting the ‘Ops we hit a error’ message when I click the Surflog Tab, any suggestions would be great. Just restart your LTDBAgent on the LT server. The tables are most likely missing causing the error. The DBagent generates the new tables when it loads plugins but has not been told yet that Surflog exists yet. Thanks it worked and it is working exactly how I need it to. I’m trying to export a set of logs for a customer and when I click ‘OK’ acknowledging that it may take some time LT just closes and never exports anything. I have installed the agent and was hoping to use it. I keep getting a Ops we hit an error. I did not see the comment above about restarting the DB, it works now. Another great plugin. Thanks for sharing it. I got it working however I get an error when I try to export to Excel “Export to Excel went south”. I have about 12 entries in the history list? 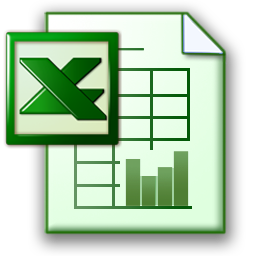 Hi again – not sure if this help you in troubleshooting my error message “export went south” but I did some more testing and I notice that Excel process kicks off, then this file “CVR789C.tmp.cvr” gets created in appdata\local\temp with 0 bytes and then I get message Export of Excel went South. Hopefully this will help you troubleshoot the error? We just released version 1.1.0 that has a new look and graphs along with a brand new export function that actually works! What would be a practical limitation of the number of records that could be retrieved for a site? I have a site with about 200 daily users and tried 30 day retention, I think all the data is in the db but labtech locks up completely (tried waiting hours) when trying to view the surflog tab for this site. Also I dont know how to now get access to the config to lower the retention period for that site. I’ve imported the scrip and plugin as per the instructions, and it created the SurfLog folder in scripts, but the script didn’t appear. (not even in the root of the scripts folder). i’m running the cloud based version. Any suggestions would be appreciated! sorry…me again….i found the script. it was in _Examples for some reason! are you running latest version? and do you have a C:\temp folder you can write to? Thank you for the reply. Yes I have the latest version of Labtech. Upon your advise, I checked my temp folder and for whatever reason, the permissions were wrong. I changed the permissions and now it works. Thank you, this is a great plugin. I’m getting the same script error as Tony where it is failing on step 38. What was the issue/fix? I am receiving this error. Hi there – I have tried everything from here to get this to work. I am still not able to get scan results. It says it’s not enabled… what can I provide you to help me see what I am missing? Just an FYI regarding my previous post – I have verified that the “SurfLog” folder does exist on the user’s PC, however there is not BHV.e within it. Everyone, I am working on a new release that should be out later today that will help with some of your issues like where is the BHV.exe file and when and where do I schedule scripts. We are also adding in our Plugin Auto Updater so your plugin will get new updates as we release them automatically. We have also automated the schedule process so you will only need to install the DLL and enable scans via the EDF and away you go. No more need to schedule any scanning or worry about offline systems. We have now released 1.1.0.25 which adds support for LT10.5 , Auto updating plugin and automatic script and edf creation. We also switched the delivery of the application to URL based from share based this will make it easy for cloud based MSPs to use the product. I’m having trouble with the installation. I have installed the plugin via plugin manager, and restarted the DBagent. Plugin manager shows green for enabled, db loaded, and IIS loaded, but I cannot find the actual surf log script anywhere, nor do I have a surflog tab under the info tab. We use a cloud based labtech instance. What Version are you running? You are dieing at line 38 of the script. This is where the script looks to find Utilities\BrowsingHistoryView.exe in your LTdrive location. In the latest version we have changed this to go out to the web and grab it on line 36 and 37 of plugin. I would delete any Surflog scripts, download the latest zip and install the DLL. Restart the LT DB Agent and the LT console. Then let it try again. It will recreate the script and run when the cycle fires off and you should see different results. I’m having the same problem as Dave. The script exits with “not enabled”. I have surflog enabled under the info tab on the needed clients and I have restarted all labtech related services with no change. Is there somewhere else that I must enable surflog? The script(5846) was successful in the THEN section. Hey Cubert – I thought I had updated but may not have done it correctly. I would like to do as you suggest and start fresh but … When you say “I would delete any Surflog scripts” can you guide me as to where you mean to delete them from – every desktop I’ve fired them on? Sorry to be lame – I am pretty new to labtech. I’m running LT Cloud and the plugin is enabled and on but I can’t see the script anywhere in the Scripts folder. Is there something I’m doing wrong? Has anyone successfully deployed SurfLog with LabTech 10 on premise? If so, can anyone tell me how to completely uninstall it and start from scratch so I can see if I can get it to work? Thanks in advance for any guidance. Same issue here when deployed with Labtech 10 on premise. It does not work. I receive “Error -> There is no row at position 0. Same as Robert. On Prem V10 not working. Sorry I was out at ITNation all last week so was out of town. I will look in to this today and see what may be going wrong with latest version. The script should appear once the first automated scan runs. It looks for a EDF to be present and checked for a client but what looks to be happening is in the script it can not find this edf we created. If you open and edit the are we enabled EDF check line in script you can reset it to the “correct” edf value for your system. I’ll look in to this and get back with you all. We have one table in the database for it, I can tsee any searches or groups either. Should we have some? Oh, and I installed over 6 hours ago as well. Thanks for HUGE contributions you make to Lab Tech / Lab Tech Geek. A living legend one might say! Hi Cubert, great job on ALL the plugins that you do for the LabTech community. I noticed in my LTPluginErrors that I’m getting allot of the following messages: “LTAgent v105.225	– 12/7/2015 12:08:24 PM	– Get Sql Error: Operand should contain 1 column(s) Select” any idea how we can correct this issue?